You take a beautiful ingredient like pumpkin, richly ocher, luxuriant in texture, and coyly sweet the way Zooey Deschanel is winkingly demure, and you don’t sully it. For gourd’s sakes, you don’t need to disrupt this yielding, unassuming, amiable Charlie Brown of a charming chomp, as welcoming and heartwarming as waking up to Blossom Dearie on a Sunday morning (and just as easy), with unnecessary sugar or any other kind of artificial insurgent. Maybe a little clove, a little cinnamon, some anise if you’re feeling randy – the way Julie Christie might put on a pair of earrings. Then you don’t want the crust to be too much of a burden – it’s an endorsement, not just an encasement – and man, eggy overtones would really suit that punkin perfection like Tom Ford on 007 v. 2012. Light, deft touches, like Fred Astaire’s wingtips across the polished oak of the Ritz dance floor, is how I like my pumpkin pie crust – floating like a butterfly, because you know the filling will effect a digestive swoon. In Holland, I learned the true meaning of a Dutch apple pie. What’s known as the Dutch apple pie in America is the strewn-method-to-the-streusel-madness topping, instead of a second crust (although the provenance is French), which became one of my favorite masticulatical formulae for round things. But now I know it’s not always about chunks of Granny Smiths in goopy starch, jailed by doorstopper crust. It’s thinly sliced Goudrenets (tart for appeltaart) stewed in cinnamon and lemon juice, raisins sprinkled in, layered between slivers of light pastry. 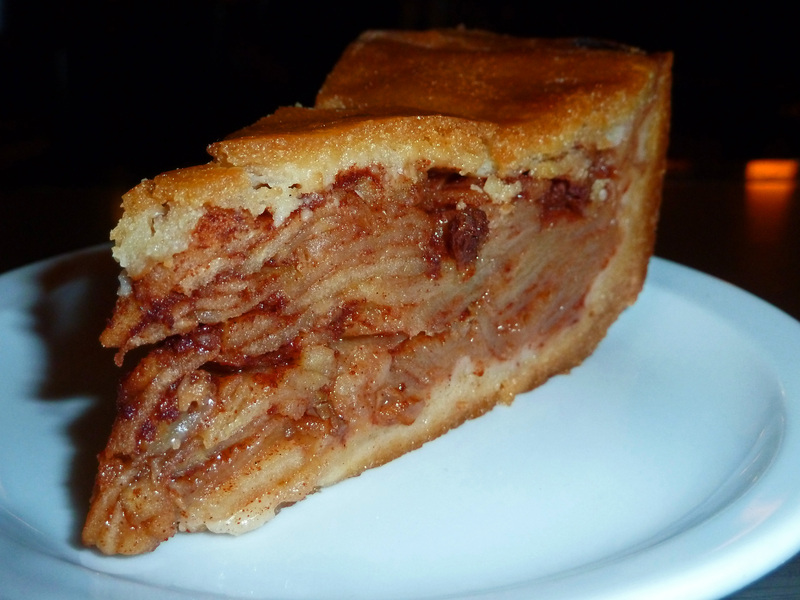 The crust is more cake and less crumble, and I am convinced the Dutch apple pie is a national religion because in the Middle Ages, you counted how long before the dish was baked in the oven by saying a certain number of prayers. 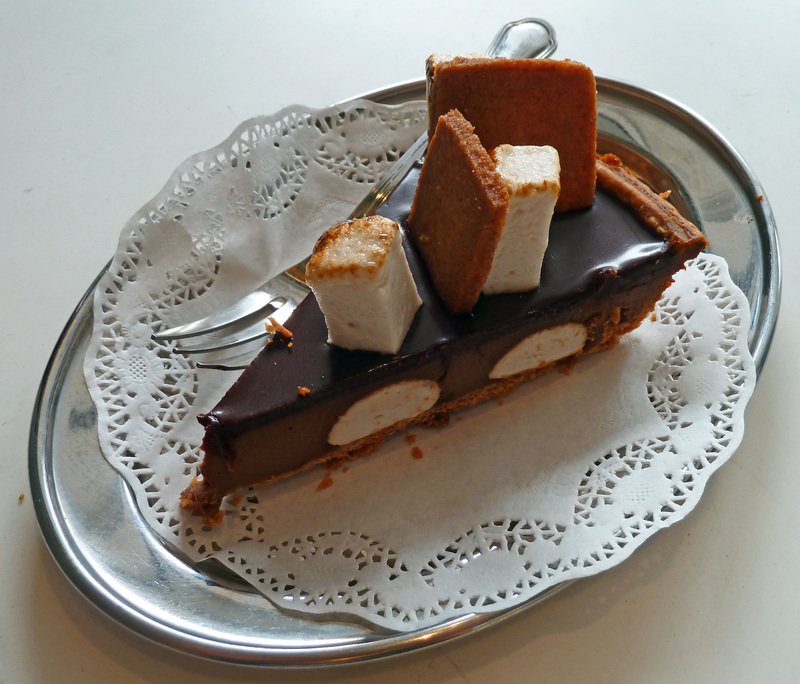 I didn’t know how extravagantly well the Dutch do desserts until I discovered for myself last October. I figure my revelation was akin to Howard Carter digging into King Tutankhamun’s tomb. 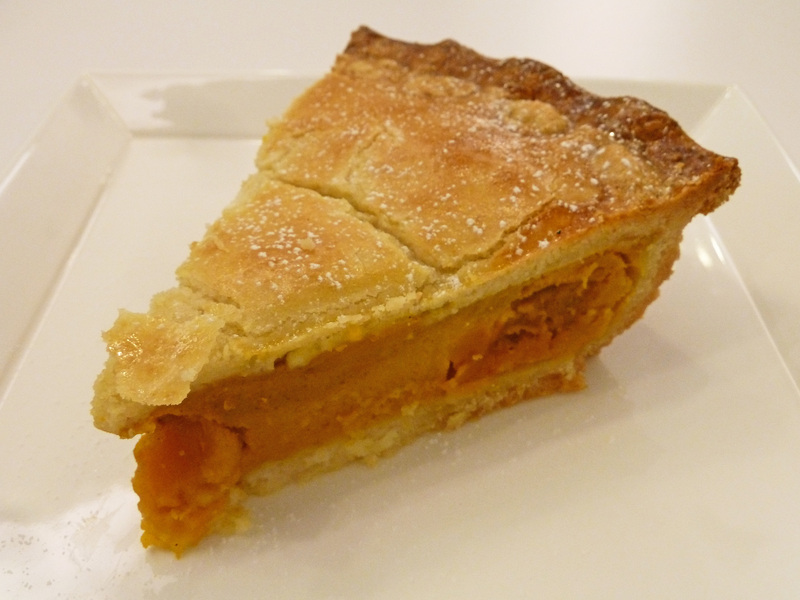 Upon returning from Holland and contemplating the advent of autumn in tropical Singapore, I missed pie in the same tone that Elvis sings “Blue Christmas”. I am an equal opportunity pie-thagoras; to me, pie is the country mouse to its town mouse cousin, pizza, which so minimalist and avant garde in appearance, strides the mean streets of Naples and Istanbul to Chicago and New York. Pie, more homely and comely, is happy to spend its days on a windowsill counting blackbirds. 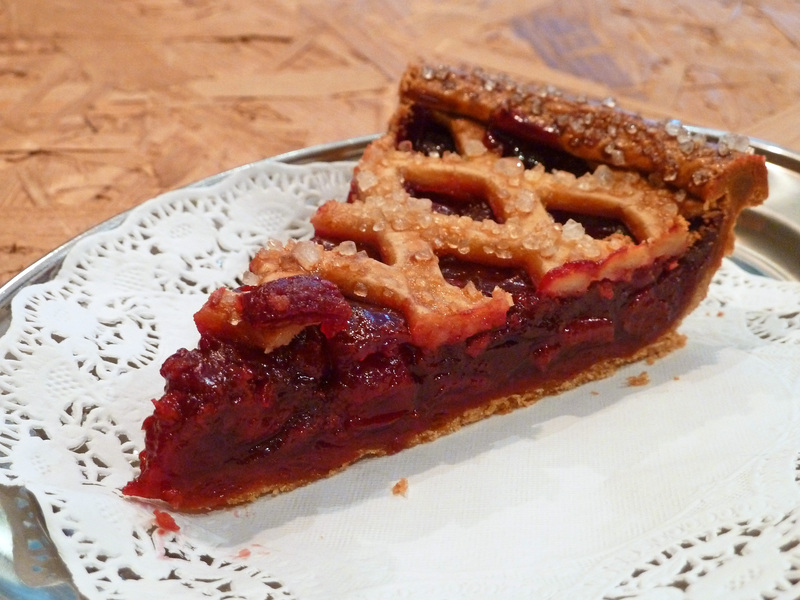 For a while, I’d heard accolades about the legendary Windowsill Pies making their rounds, which doesn’t officially have a shop, but can be found in good coffee shops, or ordered. At Penny University, a new cafe in my East Coast neighborhood, they preened prettily from an old-fashioned cake case, so I stuck my fork into one. The versatility of a universal pie-maker is the ability to crank out both the indulgent cream and chocolate varieties and the tangy fruity genre equally well. As it turns out, Windowsill aces this as diabolically as Roald Dahl with munchkin and macabre fiction. Yes, so I am pretty nutty about Windowsill Pies, and use java jiving at Penny University as an excuse to have a slab of fab once a week, just like the doctor ordered. Grateful for Windowsill, it seemed natural and necessary for me to bring its legendary S’more pie to Thanksgiving at my friend Amy’s. This circle of life completed a well-rounded dinner. Infinitely. 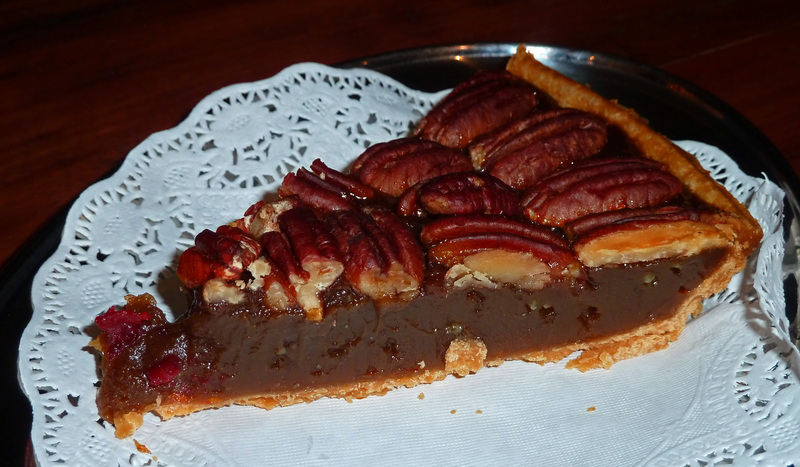 This entry was posted in Food and tagged apple pie, cherry pie, crust, dessert, pastry, pecan pie, penny university, pies, s'more pie, windowsill pies by Desiree. Bookmark the permalink.